← Ecola State Park: an absolute must! Seeing Haystack was a dream come true. This iconic rock rising majestically out of the ocean has spawned so many incredible photos through the years that I could not wait to see its beauty with my own eyes. 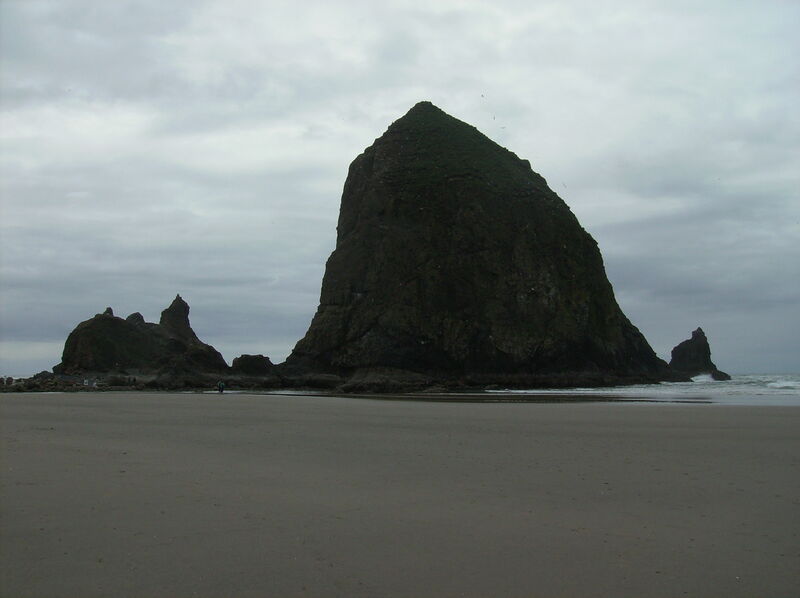 A simple 3 minute walk from the public parking lot in Canon Beach (just on Hemlock street) and you can stroll the beach, play in the waves and marvel at this wondrous creation. Home to thousands of sea birds, there are telescopes set up on the beach where you can take a look up close at the birds- for free! There was a starfish who had taken up residence when we were there and he was gigantic! There are lots of interpreters roaming about, keeping the environment safe and able to answer all your questions! The hours melted away- it really is a great playground to learn, wander and dream. We had read of a number of good restaurants in the area, unfortunately we simply weren’t hungry at the time. Even in May there were a lot of tourists about, and in fact, around Haystack it was pretty congested. If you are going in the summer prepare to be crowded!